Lotus Cars Founder Colin Chapman had one philosophy when building high-performance cars: “Simplify, then add lightness.” That way of thinking is still prevalent in the company he left behind 34 years after his death. Today, Lotus is presenting to the world the most extreme version of this philosophy, one that touts a “supercar killer” capable of slaying six-figure hypercars. 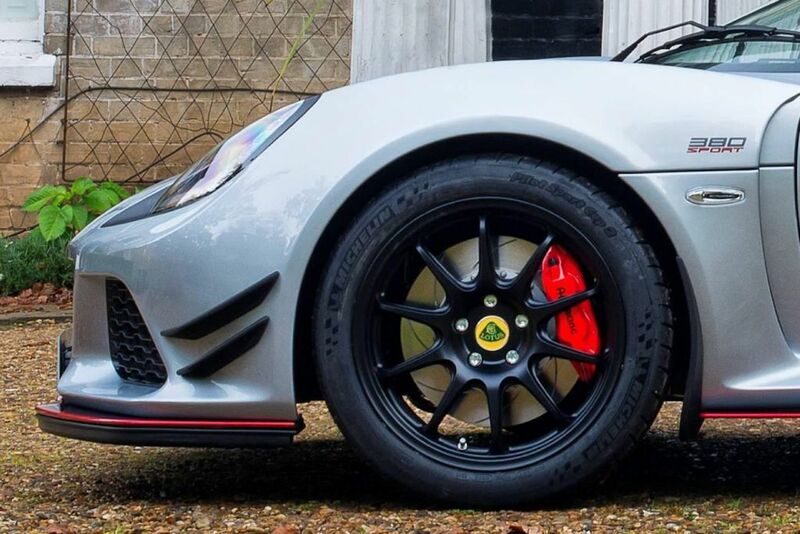 Meet the Exige Sport 380. Taking the fight straight to relatively bloated supercars, the Exige Sport 380 offers a pure, undiluted drive. 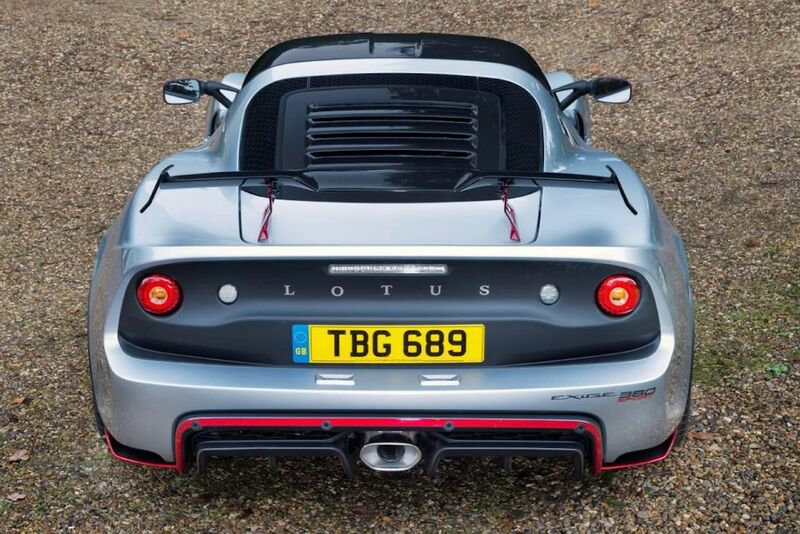 This extreme Lotus sports car offers more power and better aerodynamics, and yet weighs less than before. It’s an unashamed analogue car focused only on three things: reduced weight, higher performance, and honed aerodynamics. 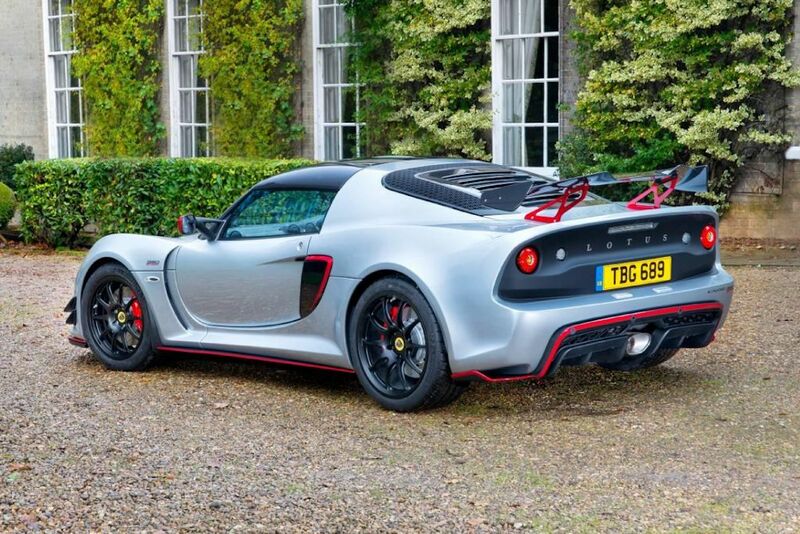 Lotus went back to the drawing board, cutting as much weight from the Exige Sport 380 as they possibly can. It’s infused with carbon fiber front to back. This can be found in areas such as front splitter, front access panel, rear wing, and rear diffuser surround. Lotus says they’ve saved 2.7 kilograms there. In addition, a new lightweight, transparent polycarbonate rear window shaves a further 0.9 kilograms. Further weight reduction can be appreciated in the carbon race seats (less 6 kilograms), lithium-ion battery (less 10.3 kilograms), ultra-lightweight forged wheels and grooved two-piece brake discs (less 10 kilograms). Even the rear lights cut the weight by 0.3 kilograms by moving them inboard. All in all, the Exige Sport 380 weighs just 1,100 kilograms. In conjunction with that weight loss, the Exige Sport 380 has upgraded its 3.5-liter V6 supercharged powerplant that now generates 380 horsepower at 6,700 rpm and 410 Nm of torque at 5,000 rpm. The power boost is courtesy of a revised supercharger design along with a recalibrated ECU and a new exhaust system. It also comes with an enlarged 48-liter tank. Mated to the engine, the Exige Sport 380 packs an open-gate 6-speed manual made from lightweight machined and cast aluminum parts. A new transmission cooler ensures the gearbox operates at optimal temperature at all times. A 6-speed automatic is also optional, though it will be available by next year. All in all, it has a potent power-to-weight ratio of 352 horsepower per ton. It is blistering fast, dispatching the 100 km/h mark in just 3.7 seconds and topping out at 286 km/h. The Lotus Exige Sport 380 features Lotus’ Dynamic Performance Management (DPM) which provides enhanced ‘Sport’ and ‘Race’ settings. As with all Lotus cars, aerodynamic efficiency plays a big role in the Exige’s performance. 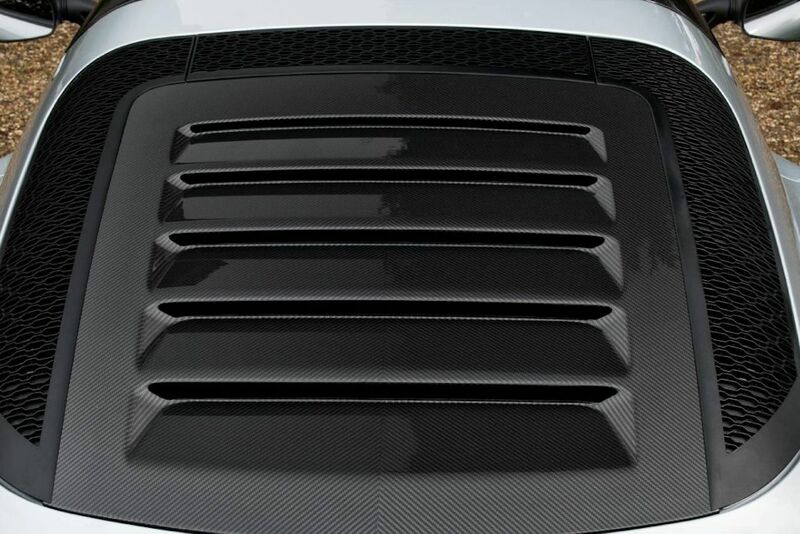 Fine tuning has been made to areas like the front access panel, carbon fiber front spoiler, and rubber lip spoiler. Underneath carbon barge boards reduce pressure under the vehicle. In addition, twin pairs of front canard wings, mounted forward of the front wheels, a carbon rear wing, and air blades behind the rear wheels, all work to help raise down force to a massive 140 kilograms at maximum speed. 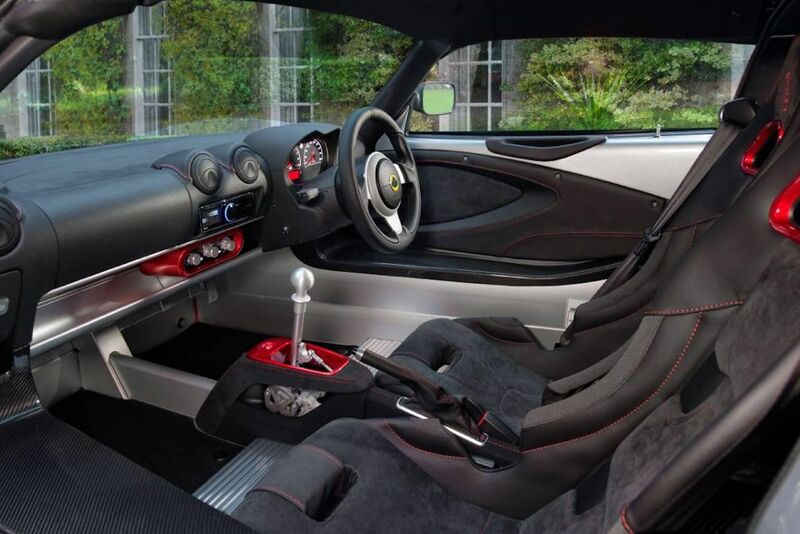 Favoring mechanical solutions as opposed to electronic ones, the Exige Sport 380 amplifies its steering feel and precision through lowering the center of gravity and using an unassisted steering system. And making the most out of that performance potential, it has mixed ratio Michelin Pilot Sport Cup 2 tires with 215/45 R 17s at the front and 265/35 R 18s at the back. Providing ample stopping power is the AP Racing brakes with four-piston brake calipers. 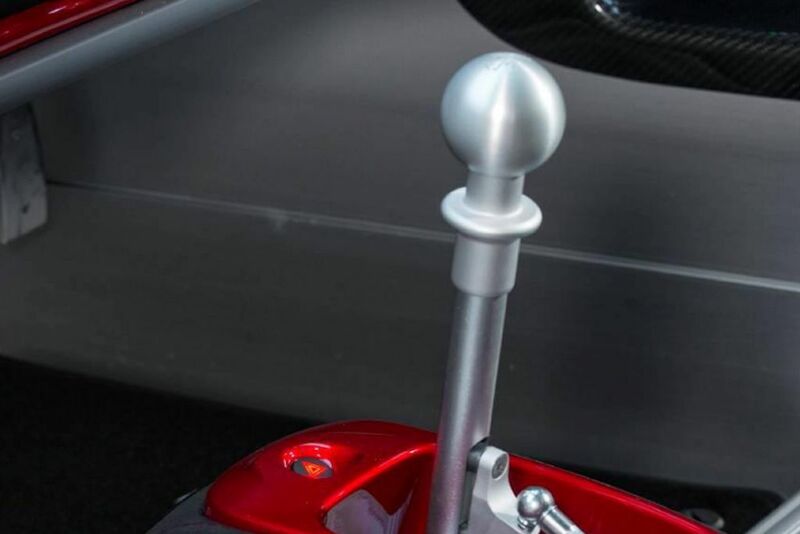 For those who want an even more extreme version of the Exige Sport 380, would-be owners can opt for the Titanium exhaust system that cuts 10 kilograms while the Track Pack adds adjustable dampers and anti-roll bars. 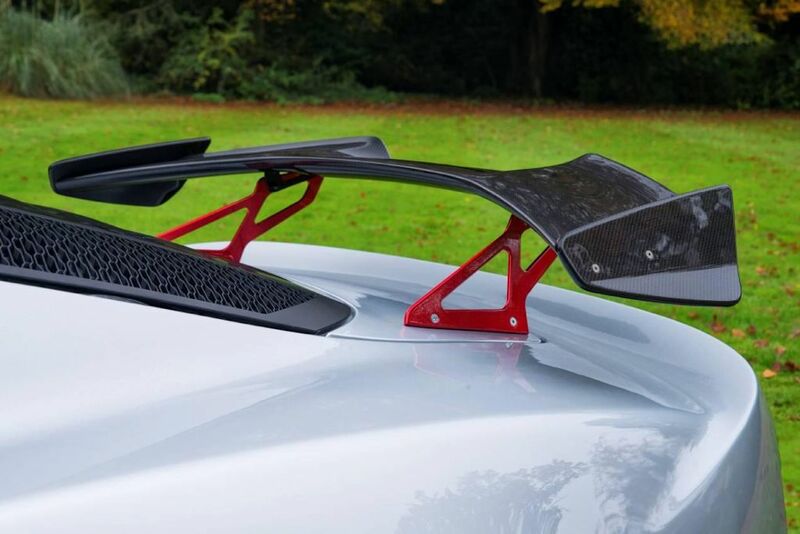 Yet, for all the talk about being extreme, the Exige Sport 380 does come with some convenience features. It has an integrated audio system with both Apple iPod and Bluetooth functionality as well as air conditioning. This comes on top of a customizable range of exterior and interior color combinations and finishes. 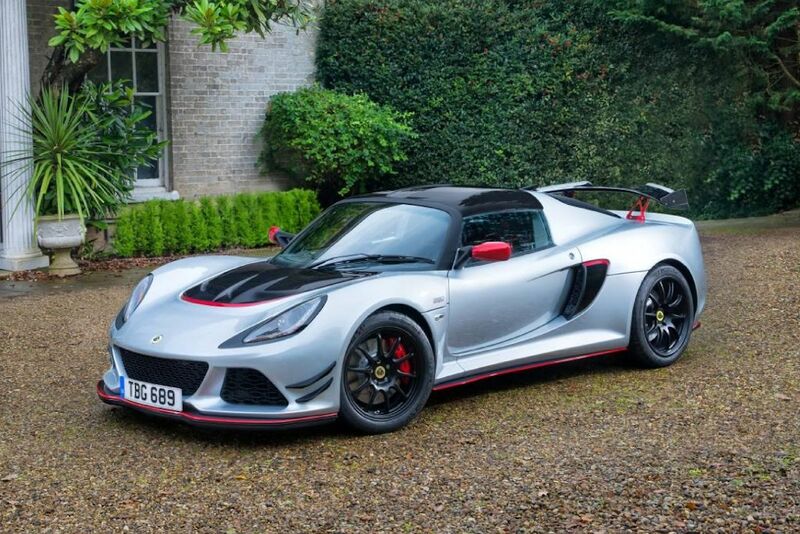 The Lotus Exige Sport 380 is available as a roadster as standard and as a coupe as an option. It’s available for order at Lotus Cars Manila.